Posted on January 19, 2014 by Sarah S.
I was getting pretty tired of digging through the pile of scarves I kept hidden under my bed whenever I wanted to add one to my outfit. At my last apartment, I kept my scarves on display by hanging them over the railing of the balcony of my lofted bedroom. I loved being able to keep all of my scarves visible but organized at the same time. Since a pile under my bed was nether visible or organized, I took a hanger and a half dozen shower curtain hooks…and voilà! 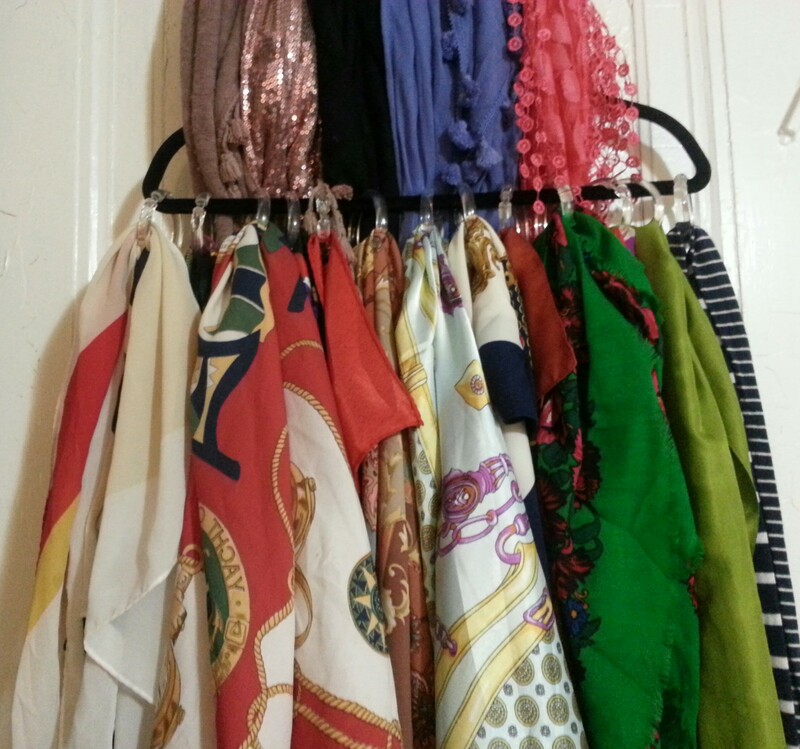 the easiest and cheapest scarf organizer ever. I hang them over my door, so they stay out of the way but are on display at the same time. Cheers! This entry was posted in DIY & Tutorials, Style and tagged DYI, hanger, organization ideas, scarf, scarf organization, scarf organizer, scarves, shower curtain hooks. Bookmark the permalink.